These were created a little while ago, but I thought I'd post them as examples of Key Scene pitch concepts. The film, Archangel Alpha, is a feature length Sci-Fi film slated for a late 2011 release. 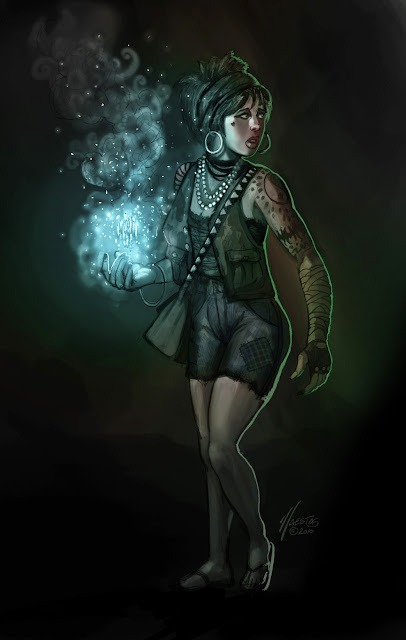 Director Aaron Martin had asked me to create some concept art pieces to be used in early funding pitches. Aaron has been furiously working hard at finishing it up. Check out the official Archangel Alpha website and 'like' his Facebook Fan Page! I'll admit it- I'm not super thrilled with this image, but it turned out decent enough. The idea is that this Space Ace is stranded on some weird planet, doing repairs on his spaceship- until he's interrupted by some unhappy natives! 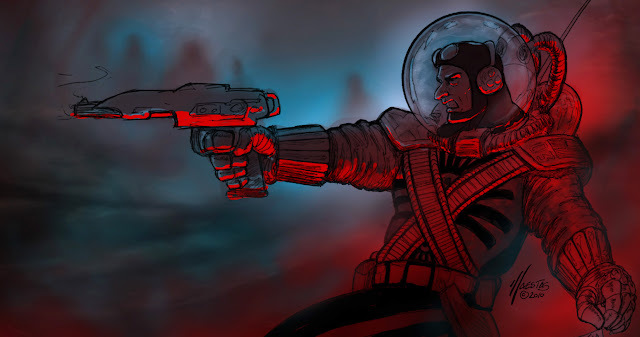 The spacesuit was an homage to 50's Sci Fi, and a salute to one of my biggest influences in particular: Al Williamson. Chloe from "Corner of the Mind's Eye"
Thanks for checking out my new blog! I've decided to branch my illustration work from my Lost Skies blog, especially since all the freelance I do is under my name. 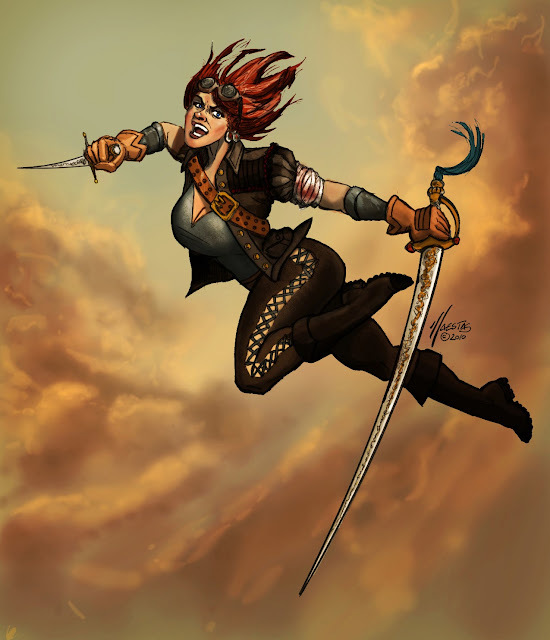 So I thought I'd start out with my one of my favorite illustrations I had done in the past few months- "Sky Pirate!" It turned out decent. I had made the unfortunate choice of a green sky and left it like that for a couple of months before I re-tackled it and gave it a better background. Alrighty, swing by often, I'll be posting more!